The Journal of the American Dental Association (JADA), reports up to 39% of sports related injuries impact your dental health. More than 5 million teeth annually are broken in sports activities. All contact sports have many incidents of dmaged teeth & other dental issues. Be smart and make sure to always use a mouth guard. The National Federation of State High School Associations mandated the use of mouthguards for hockey, football, basketball, lacrosse and many more sports. Wearing a guard is important for most any type of sport as its greatly lowers the risk of dental damage. All other types of contact sport. Custom-fitted guards are generally considered the preferred type as the athletic mouthpieces are appliances made in a dental laboratory, specifically for the person who will wear it. This is the best type of mouth protector. A professionally sized and created mouth guard will protect the teeth, gums and bone structure by best fitting your own mouth. Boil-and-bite is a DIY mouth-formed type. 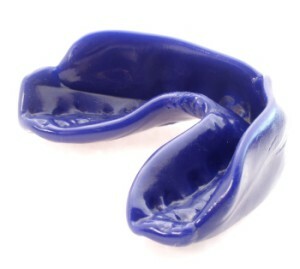 The fit of this mouth guard type is handled by the consumer at-home. This feature provides a higher level of protection than a generic mouth guard but not as good as a professionally fitted mouth guard made by your dentist. Generic mouth guards are preformed mouthpieces that are sold without any customization by the wearer. They are the cheapest types of guard. Because they are not custom fitted to your mouth the will not offer the best level of protection. To have a mouthguard custom-made for you, see a dental professional for assistance on everything you need. Dr. Doria and his dental team will be there to help you with the sport mouthguards. After consultation, it will be ready in just a day or two. This device will provide you years of protection. 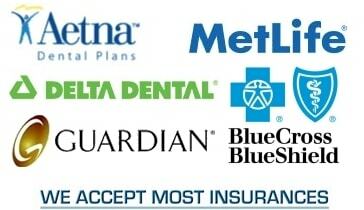 Aside from mouthguard, Dr. Doria and his team offer a wide array of dental services at the best price. Contact his Bayonne, NJ office at 201-823-9100 to schedule an appointment.